As soon as we saw JME's video for 96 F***ries, we immediately asked ourselves, WHO DIRECTED THAT?! (Take a look here if you'd like a reminder). Noting the director's name and production company (Scorcher's Staple House), we took to Twitter to catch up with the talented lensman. 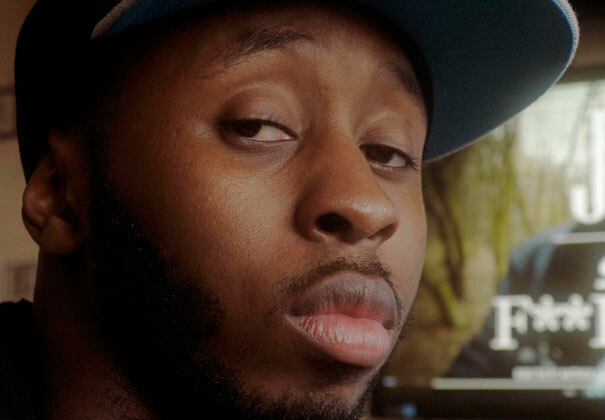 With a couple of years experience under his belt, we don't think it'll be too long before 26 year-old north Londoner Matt Walker gets his goal of making videos for Tinie and taking on Tinseltown. The director and animator sat down with G-Shock to explain his shooting style. How did you start out as a video director? Well, after I finished my digital animation degree, I met Scorcher who wanted to use my editing skills on some videos. After a year or so of mainly post-production work, I got an opportunity to direct a Skepta Vs N-Dubz video (So Alive)... and the rest is history I guess. What videos have you worked on to date? Wow, there are a few. I guess the notable ones are Skepta Vs N-Dubz, Skepta Mike Lowery, Wretch 32 - Forgiveness and Skepta's new single - Hold On (out now, go buy it!). I also did the VFX for Scorcher's Dark Knight video, which is one of my favourites. I have a few coming up, but the only one I can speak about is Scorcher's new single, I'm exited about it because the song is incredible - not being biased!. I've also made it a 2012 Resolution to work with Tinie Tempah this year, he makes the kind of music that gives me ideas instantly. So if somebody could tell him...that would be nice! Talk us through the new JME vid - how did you do it!? How long did it take in post-production? [Laughs] JME and I vowed not to reveal the exact method, although people on Youtube seem to have figured it out. I can say though, that it was a really fun shoot. We shot all around London over three days. It wasn't a conventional song, more a freestyle and the energy was so crazy that the visuals had to match it. I will also say that JME is the only artist I know would've been up for those crazy/dangerous filming techniques. How did you end up working with Scorcher over at Staple House? Well as a matter of fact, Scorcher and I started Staple House together in 2009. I guess I'm a Co-CEO. We met through a mutual friend in 07 or 08. I think I designed his first tattoo for him, we became friends after that. I started off doing more of the editing/VFX/production and gradually evolved into a director. I'm really not sure what my 'creative style' is yet, Eclectic maybe? My style of shooting differs with the types of song I get. I guess that is what I offer, a fresh, honest approach to every song without being limited to one style...if that makes any sense. Making my imagination fit the budget. Deciding to make this a career. What new talent should we look out for in 2012? I really like the work of new director Chas Appeti (Sneakbo, Krept & Konan). He's very talented, I have my eye on him. Also an MC called Raptor from Sway's DCY camp, he's an amazing lyricist. What's your personal plan for the future? In the near future I'll be fighting for that Tinie Tempah video and I'll also be trying to build the Staple House name. Further down the line, I want to get in commercials (Nike/adidas commercials to be exact) and I want a summer blockbuster one day. There's no rush though!